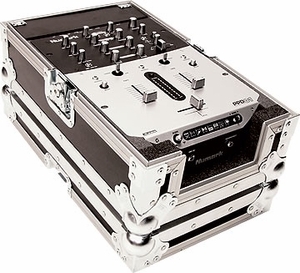 This ATA rated mixer case houses the latest models of Numark mixers, such as the PPD01 shown below. Fiberglass panel construction features recessed hardware and ball corners. The removable lid serves as an elevated base. Color: black (other colors available). Dimensions (exterior): Width Height Depth 19.25" 8.5" 12"